Does an Annual Support Subscription provide support for older/legacy versions of MIDAS? 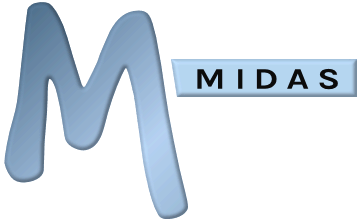 An ongoing Annual Support Subscription entitles you to be able to update to the latest version of MIDAS, and as a general rule, we are only able to provide support for the current version of MIDAS. Therefore, should you have an active Annual Support Subscription and require support relating to a legacy version of MIDAS, you will be encouraged to update to the current version in the first instance. However, we do understand that when we release a new update to MIDAS, it's not always convenient or practical for organizations to update to the latest release immediately. For this reason, when we release a new update for our web based scheduling software, we will continue to provide limited support for the most recent legacy version for the remainder of your Annual Support Subscription, or until a subsequent newer update is released, whichever is sooner. "Limited" support for the most recent legacy version means that whilst we will be able to answer questions relating to it, generally no further updates will be made available to it. So, for example, if the latest version of MIDAS (as indicated in the changelog) is v4.14, customers with a valid Annual Support Subscription will be able to receive support for v4.14 and v4.13. Support for v4.12 and earlier however may not be available. What's included in an "Annual Support Subscription"?